We’ve had a lovely day today. The clocks went forward and the day started cold and bright. We had made plans for a walk after lunch, but OH’s mum texted us to say his uncle and aunt were visiting our village with some friends. They thought we would be away, so hadn’t contacted us, so it was lovely when they phoned and we met up for an hour. After we went on a walk up the hill on the opposite side of the valley. At the top of the hill, the snow was still very deep. We walked along a little lane that had been cleared and the snow was piled several feet high on either side. 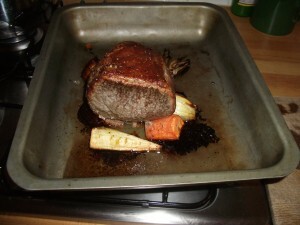 Despite yesterday’s disaster with the tea, I cooked a roast dinner this evening. Everything turned out fine. 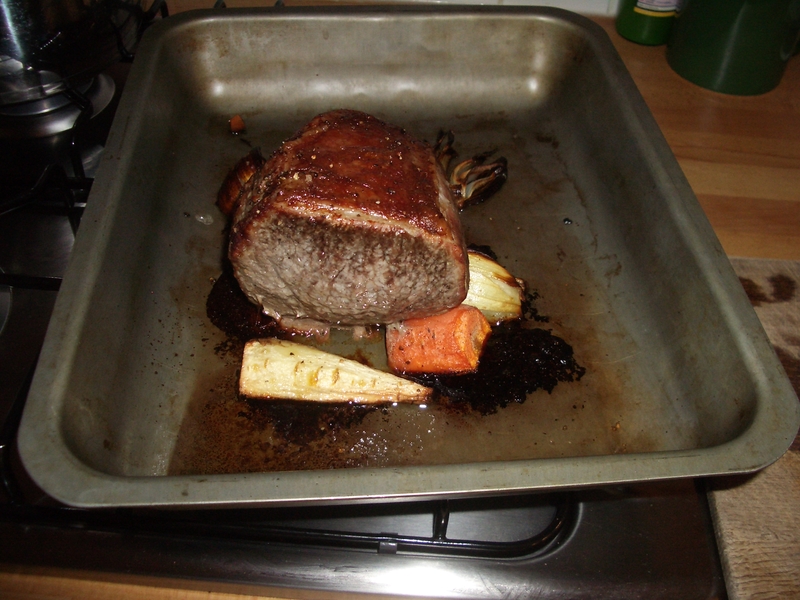 I bought the joint from one of the butchers in town and it was lovely. I’ve now stopped buying meat from the supermarket – it’s definitely better from the butchers. I hope you are having a lovely Easter too.